All Dressed up For Fall and Pumpkin Pancakes! 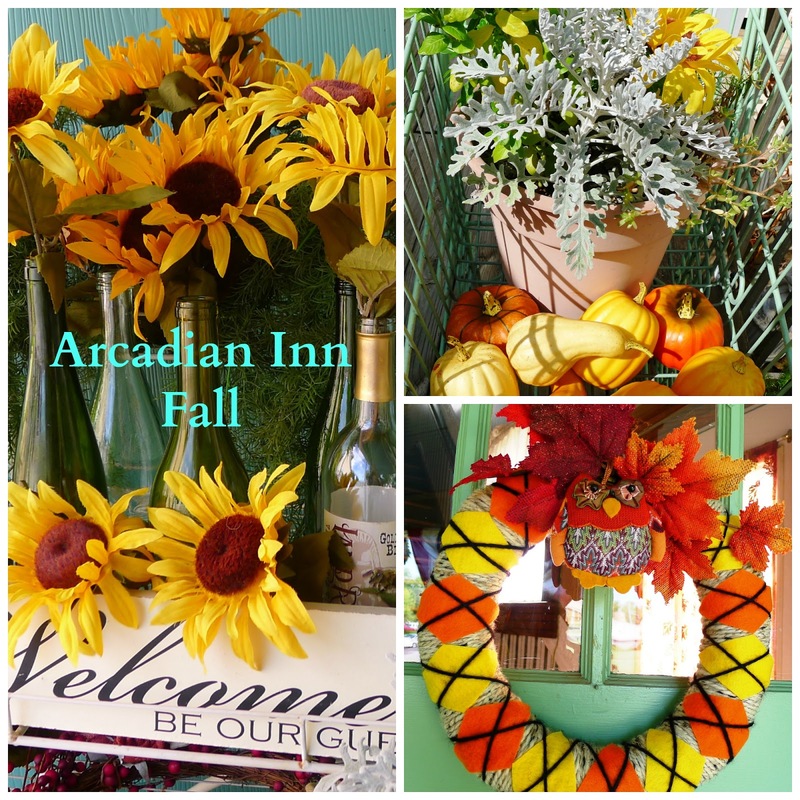 With a temperature and rain record-breaking summer about to end, we look forward to a beautiful Fall at the Arcadian Inn. This is the time of year to finish up outdoor projects, think about indoor comforts, plan for the holidays and take a break for yourself. The Arcadian Inn has put on her Fall dressings with a little inspiration from Pinterest! The trash man must think we are alcoholics the way our recycle bin is full of wine bottles. But Pinterest has given us lots of creative ways to reuse the beautiful glass bottles. Add red and white tablecloths and you have a beautiful little European outdoor café just outside your door for your morning coffee. It's Pumpkin Pancake time, everyone's favorite. Even if one thinks they don't like pumpkin, when they have these pancakes with our "to die for" Vanilla Butter Sauce. Check out our Pumpkin Sunflower Bed. Check-out all of the exciting and unique events and restaurants in Edmond this Fall and reserve now for your Fall Getaway!